For as far back as most of us can remember – either because we lived in a home like this, there were ones like this in our neighborhood, or we saw them as we lived in our community – homes have been built with steps leading to the front door. Sometimes it was just a step or two. Other times, it was a dozen or more. Steps have been part of the design and usage of homes. As kids, we played on them, ran up and down them – sometimes two at a time – sat and visited with friends, waited there for friends to come over and visit or wait for parents to arrive home. At a young age and then as we got older, we sat on the steps to watch the world go by in front of us. 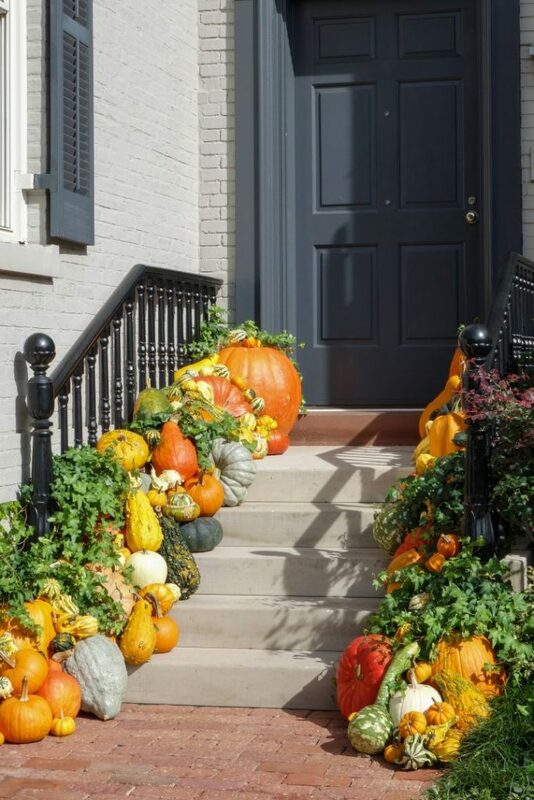 During the holidays – especially the fall and winter holidays, we decorated our steps with pumpkins and other squash, hay bales, witches, goblins, ghosts, spiders, cobwebs, corn stalks, Pilgrims, colored corn, Santa Clauses, reindeer, presents, ornaments, garlands, and holiday lights. In cold weather, for those living where it snows, there was snow accumulation on the steps to be removed. Otherwise, the steps were somewhat treacherous or even impassable until they were cleared. Steps certainly have a bearing on how were grew up – in our parents’ home and as we moved out on our own. Unless we had a mobility issue that made it difficult to climb steps, we accepted them as part of the character of the homes we occupied and didn’t really think that much about them. Some architectural styles – brownstones, townhomes, row houses, split-level (also known as tri-level or split foyer), Cape Cod, low-country, coastal, and the classic bungalow – have steps as part of their design. To remove them would alter their character and how we think of them. Many of these styles, because of how they are situated in their neighborhoods or the historical character they represent, simply cannot be modified. This means that those steps must remain. It does not mean that we have to settle for an entrance into the home that must use steps. We may need to begin rethinking how we are platting and developing homesites for new development so that this traditionally included and accepted entrance step or steps ceases to be included and a barrier-free entrance can be achieved. Unless we have grown up with mobility challenges that made using steps difficult or even impossible with a ramp, lift, or other type of assistive device, we have lived in homes with steps. We have lived in neighborhoods with steps. Most of the homes we are familiar with in our local area have them. So how do we move on from here since aging presents a few issues to using steps that haven’t been there in prior years? Most people can climb steps. It doesn’t mean they should. Their vision, balance, strength, and physical ability can certainly limit how successful they are at using steps the way that they are intended to be used. Still, they may be able to take each step, one-at-a-time, with brief rests in between each step. Handrails – which often are absent from front entrances – are important for them to hang onto and support themselves as they slowly negotiate each step on their way to the porch, stoop, or landing at the top of those steps. Even when going up and down steps – ascending and descending – is not a concern or an issue for us or for any specific client that comes to mind, this certainly does not mean that relatives, friends, neighbors, guests, and “plus ones” of those who visit us and our clients are going to be able to use those steps well. Often, we don’t know what someone might be dealing with in terms of mobility limitations because we haven’t met them, or it’s been a while since we last saw them. This is why accounting for step issues is so important. They may be alright for us but not so much for visitors and guests. Re-routing traffic away from the front door rather than trying to modify the entrance might be an acceptable solution – short-term or permanently. Keep the front steps if the house wouldn’t look the same with them. Some homes can be modified without much difficulty to use an inclined or sloped walkway to reach the entry door and eliminate the steps entirely. Otherwise, look at entering through the garage, the side door, or the rear door if those are more feasible or if they can be modified more easily than the front. Steps are part of the character of many homes, but they may not be our friends as we age. They’re not as easy to use as we seem to remember a while ago.